Recently, I took my nine year old daughter to visit one of our older fellow parishioners in a local nursing home. I say ‘older’ – this long lived lady is one hundred and four years old which puts the comparative adjective into another league altogether. She was born in 1909, five years before the start of the First World War and a year after Henry Ford’s Model ‘T’ Ford began production. Elizabeth (as I’ll call her) moved out of her flat a couple of years ago when her physical and mental state became increasingly fragile. My daughter had been present at the 100th birthday celebrations (cake never far from her mind) and had been swept up in wonderings about someone who had lived and seen so much. Though I nursed anxieties about how such a visit would affect both Elizabeth and our youngest, Daughter Dear was resolute -we should visit Elizabeth. I made the necessary arrangements, phoning beforehand to check if Elizabeth could have visits from a child. Yes, I was told, that’s fine. The home was welcoming, modern, cheerful and (very important) lacked the faint malodour that sometimes pervades nursing homes. Elizabeth’s room was well stocked with pictures and mementoes of times gone by. The lady of the house, now bed bound for some of the day as she is so fragile, was asleep, pink varnished nails peeping over the edge of the duvet. Waiting for my cue, I knelt down beside her bed to gently wake her. Now the point of the story is not Elizabeth’s care, nor the important political and social concerns of the care of an ageing population, nor indeed about Elizabeth herself. What really caught my attention was our daughter’s reaction to Elizabeth. My daughter pulled up a chair to the bed and very carefully took her hand. ‘Do you remember me?’ , she began. And then, in her soft, chatty, nine year old voice, began to talk to Elizabeth. Another one hundred and four year old hand stretched out from under the duvet and stroked the child’s plump cheek. And a glimmer of recognition. My daughter, cheerful and accepting, simply took this all in and responded with warmth. And the thought popped into my head, ‘she’s a nurse’. We stayed only a short while, leaving chocolate buttons behind for Elizabeth and my daughter rewarded by a little wave from the bed. As we passed along the corridor, there were questions about the layout of the home, the photos , the memorabilia. Later, in the car, our discussion moved to hoists, air beds, nutrition and memory. She was probing and practical about the details and showed what I regard as resilience balanced with kindness. I was, of course, proud of her. I pondered on this for much of the day. I don’t talk much about my work with the children and if I’m honest, they’re all a little perplexed about what sort of nurse I am. She’s never played ‘hospital’ and doesn’t possess a toy medical set. Where had this embryonic nurse come from? Has my nine year old daughter learned this from me? I’m forced to conclude, that as with many other facets of our children’s various personalities, that much of the groundwork has been laid before I get even a whiff of chance to form them. I once thought, naively perhaps and in a conceited way, that children were a blank sheet of paper on which we parents could write. But what really struck me was my visceral recoil from the thought that our daughter would follow me into nursing. I couldn’t budge from thinking ‘oh no.’ I should have been able to celebrate that moment of recognition of a future nurse, but instead found myself anxious and doubtful. It’s also set me wondering about nurses of the future and what I should or could be doing now to address my misgivings. I couldn’t place why I didn’t greet this revelation about her with acceptance and pride. Is this just me or am I not alone in my anxiety? Nursing is my vocation and my chosen profession. So why not pass the baton? Compassion: Holding Ian Brady’s Hand? As the ghoulish media spotlight dims following his mental health tribunal, Ian Brady has been returned to the care of the high security psychiatric hospital, Ashworth. Just hearing the words ‘care’ and ‘Ian Brady’ in the same sentence jars the nerves. How can a person who so brutally murdered and tortured five children be cared for in any sense of the word? Yet, there are nurses who do just that. Forensic nurses concern themselves with the care of people with a mental health problem who find themselves in the criminal justice system. They can be found working in prisons, secure hospitals and units (which range from high security like Ashworth to low security, like the one I work in), probation, court diversion, outpatient, community and recovery services. The word ‘forensic’ originates from the Roman word ‘fora’ where community decisions were made and trials conducted. So the word ‘forensic’ comes to mean ‘relating to the courts’. And if you had in mind the TV drama series, ‘Silent Witness’ where crime solving pathologists wrestle with clues left by cadavers, you’d be wide of the mark. The dark art of forensic nursing, as I once heard it described, is much more about the living than the dead. The world of the forensic nurse is, I suspect, a poorly understood one. Forensic nurses as a group, and certainly those working in areas of high security, face challenges that the wider nursing community might consider beyond the pale. Take, for example, compassion. That’s an attitude or attribute, call it what you like, that one would expect to see in a nurse, recent failures in standards of care notwithstanding. More than that, the #6CS vision, rolled out this year, commits nurses to the practice of intelligent kindness. 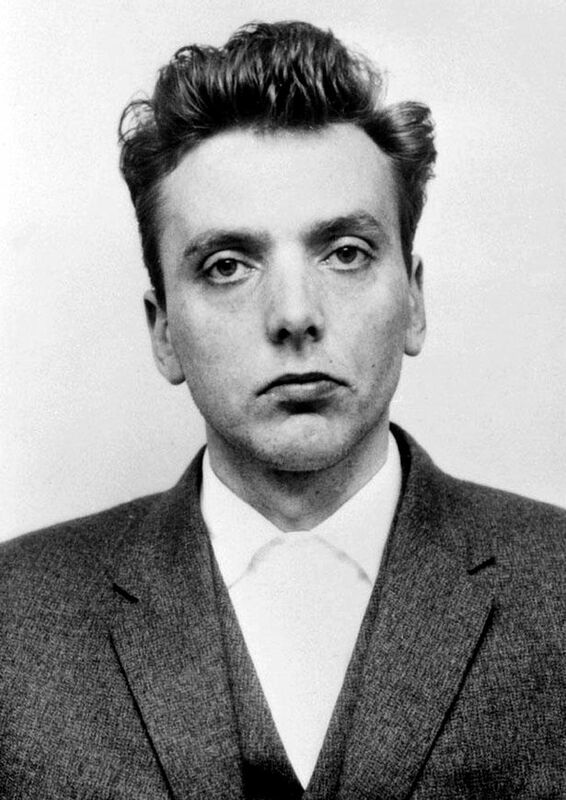 How then do forensic nurses care for people like Ian Brady, people with a mental health diagnosis, who may have committed the most terrible acts, and care for them with compassion? Admittedly, such people represent a tiny minority of all patients and forensic nurses a small part of the total nursing workforce. But we are still nurses. This moral and ethical conundrum has occupied my thoughts recently. I know I’m not going to reach a definitive answer. But here’s where I’m at now. Compassion can be not just a positive benevolent action, but the absence of a negative malevolent intention towards a person. This might translate, for example, into not spilling the lurid beans on a night out so as to keep the day to day life of someone with the public profile of Ian Brady out of the public domain. It might translate into not loosening the physical, procedural and relational boundaries, boundaries which are so crucial to the care of people with psychopathic personalities. It’s much trickier to think about a positive benevolent action. I was asked recently by @anniecoops whether I could hold the hand of a dying Ian Brady. I was shocked to hear myself say that I thought I could. But on reflection, for a forensic nurse, the question is more about ‘should’ rather than ‘could’. What therapeutic value would this seemingly harmless action have? Would I betray his victims? Would I condone his actions? And importantly, does compassion have any meaning if your patient has a hole in their soul, labelled ‘compassion’? It’s been said that compassion is not like cake (only so much to go around before it’s all gone). Is this really true? Can all nurses care for all patients with compassion? Could you hold the hand of a dying Ian Brady? Recommended: ‘The Psychopath Test’ by Jon Ronson. Published by Picador.